I have lived in Columbus, Ohio for most of my life. I have been a sports and event photographer in Columbus for over 10 years. I never knew Columbus, Ohio had a place to play indoor sand volleyball. And I certainly didn’t know that there are teams of young adults who gather to play indoor sand volleyball in the winter. These teams form through a group called Columbus Young Professionals and offer a variety of winter sports. 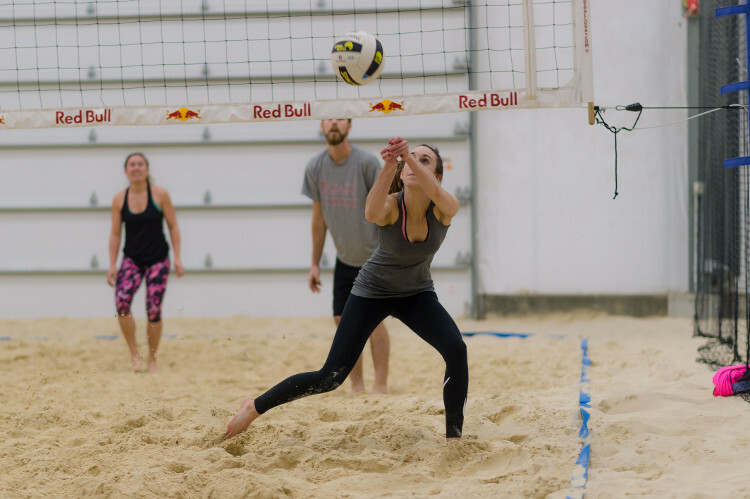 As a volleyball photographer, I have photographed in a variety of gymnasiums and tournament centers, but never sand volleyball inside a building! Don’t believe me? Check them out in these pictures! Or better yet, visit Flannagans on Sawmill Road in Dublin to see for yourself. The Columbus Young Professionals group has an organized indoor co-ed league that plays on Monday nights at Fannagans in their new fieldhouse. 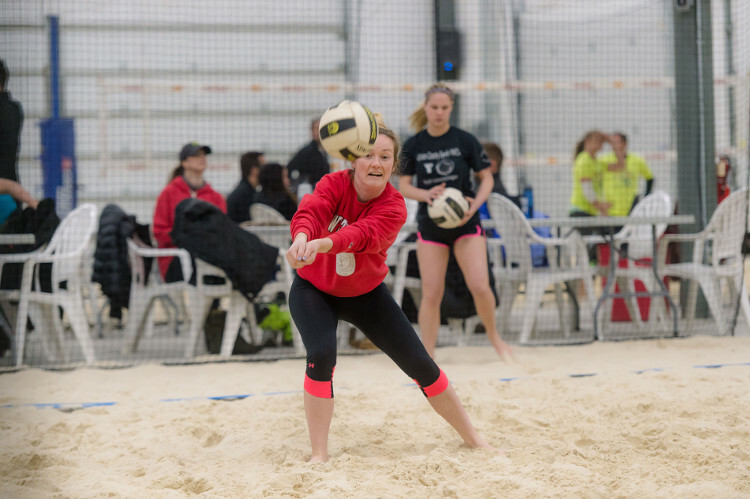 With six indoor sand volleyball courts, there was lots of volleyball action to watch and photograph. 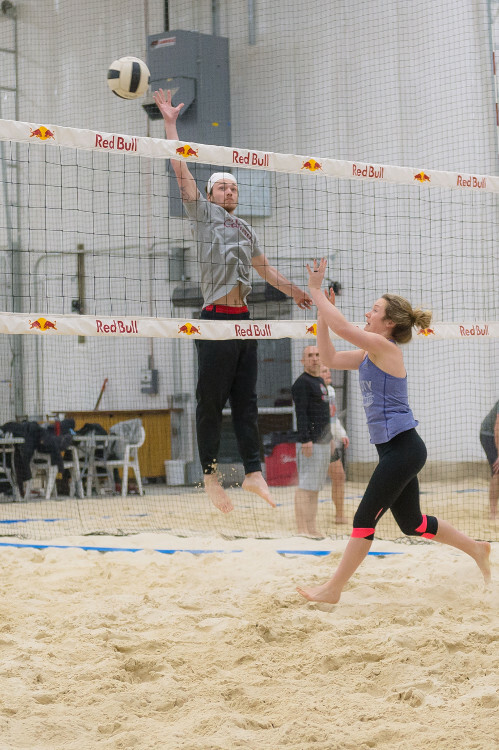 Running six courts at a time, these coed volleyball teams start league matches at 6:15 each Monday. 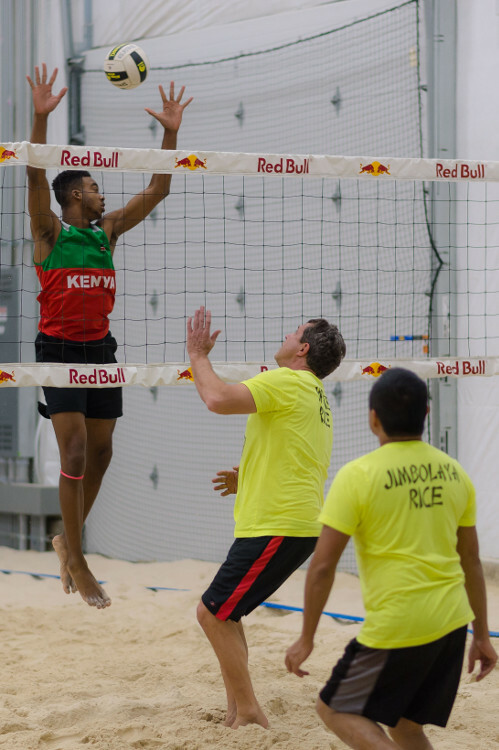 While it appears they are playing for the camaraderie, the fitness and the fun, there are obviously some teams who take it more seriously than others. And they are good! As a volleyball photographer, it was fun to see the digs, dives and double blocks. 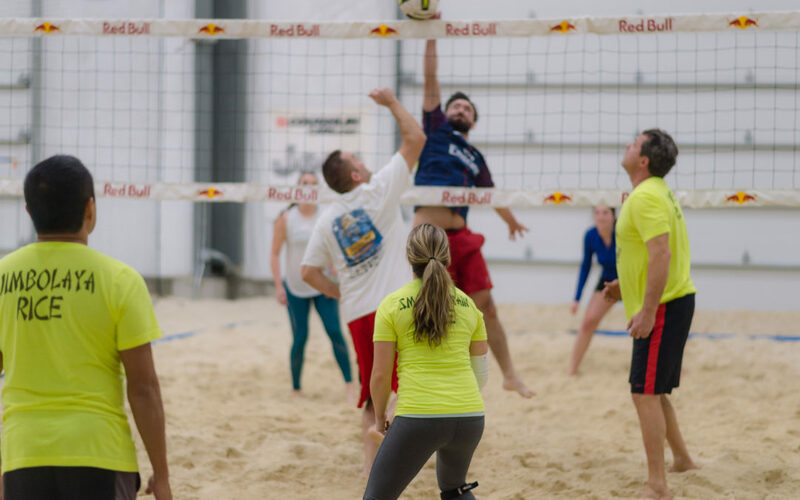 Some of these Columbus Young Professionals were clearly volleyball athletes at one point in their lives. It’s always fun as a volleyball photographer to see the competition through my lens. I love to watch and capture the facial expressions on the athletes, whether they are winning or not. Much of my experience as a sports and event photographer is covering high school and college sports. It was a unique experience photographing these Columbus Young Professionals who are at a different time in their lives. Based on what I saw on Monday night, none of these athletes were losers.